as stated in my earlier Blog post “Windows Phone 7 Developer Tools final version released”, Microsoft just released the Visual Basics CTP (Community Technology Preview = Beta version) for Windows Phone Developer Tools which you can download here. To use the Visual Basics CTP for Windows Phone Developer Tools you need the Windows Phone Development Tools RTW (web installer or .iso image) as well as Visual Studio 2010 Professional or higher (90 day trial version). Furthermore you can only develop Silverlight apps using Visual Basics; XNA does not support Visual Basics as of now. You can find the official release announcement on the Windows-Phone Blog. 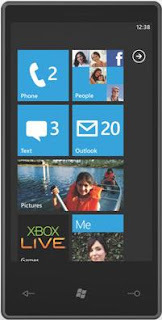 Additionally you can find some VB samples/tutorials for Windows Phone 7 on Jason Zanders Blog. Also if you want to get into games programming, take an Embedded Training course! Consoles can be thought of as embedded environments.